My upcoming series of post will include the steps to build System Center 2012 Configuration Manager SP1 Lab in the Cloud. Before you getting into Azure portal, you need to activate Free trail subscription by following the step given the below link. Azure management portal and you will be taken into Windows Azure Management portal dashboard as like below screenshot. 3. 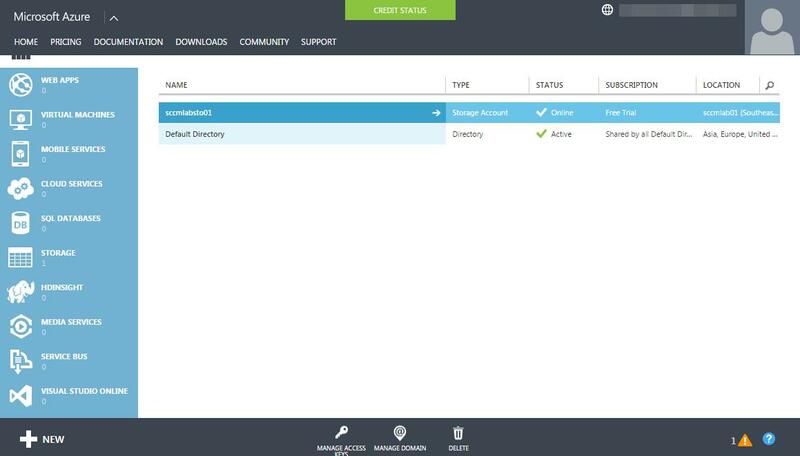 Create an Microsoft Azure Affinity Group. Affinity group is used to group your cloud services together such as Storage, Network & Virtual machines in order to provide optimal performance. It will keep all services within the same data center as close to increase performance. To Create Affinity Group, Select SETTINGS in the side navigation bar in the portal. Click ADD and enter the following details..
4. 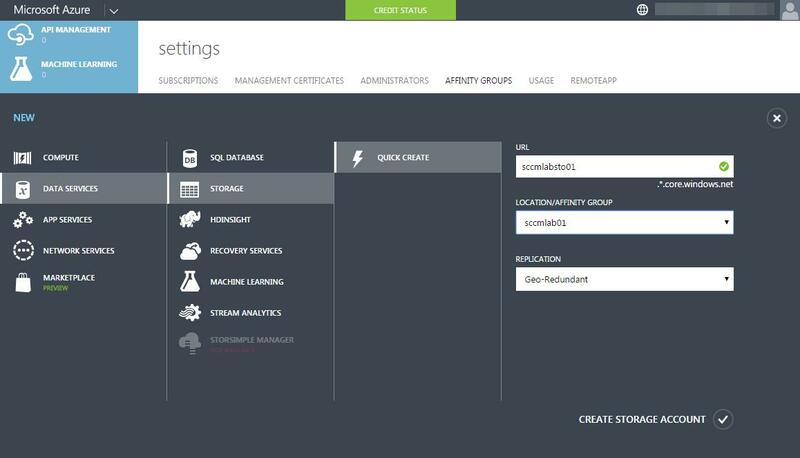 Create a Microsoft Azure Storage group. URL : Provide unique name. 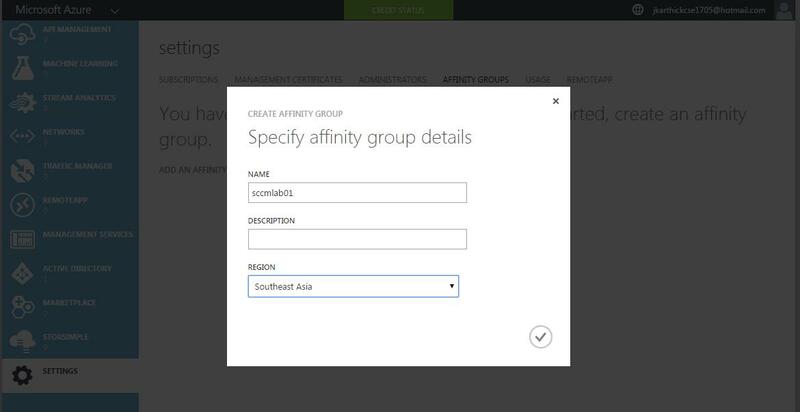 LOCATION/AFFINITY GROUP : Select the Affinity group that you have created.